Handsome men often have peculiar traits of femininity, and some weakness. 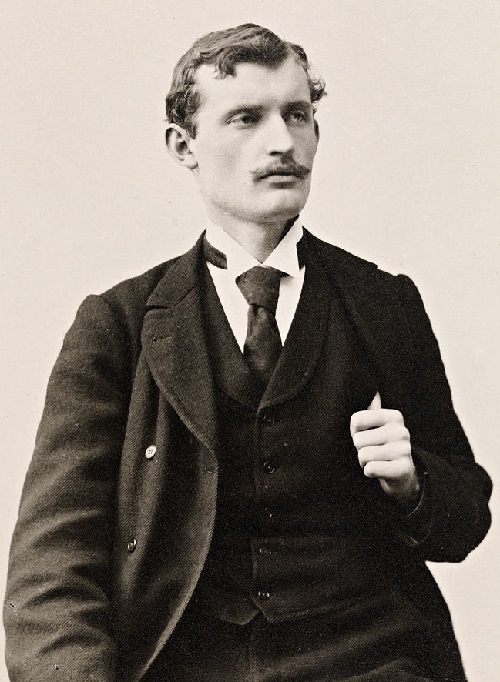 Indeed, Edvard Munch was handsome. He could not boast of good health. And yet didn’t give the impression of a weak man. He was surprisingly energetic, beautiful head. Seeing him, passersby turned around even when his name was not yet known. 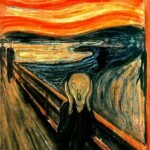 Anyone who saw Mysterious Edvard Munch, would never forget him. His blond, wavy hair, a high forehead, and bulging gray-blue eyes. The nose and mouth had good shape, even the thin lower lip did not spoil his fineness. 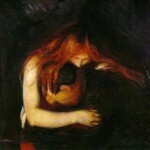 Strong chin seemed even stronger, as Munch always carried his head high. He was thin, a little above average height, slender but not flexible. He never played sports. As soon as he had money he visited a good tailor. Yet he never gave the impression of a well-dressed man. His demeanor, as if harmony and chisel carved facial features made him conspicuous aristocracy. Paul Gauguin in the book of Edvard Munch drew attention to the striking similarity of facial features of Edvard Munch and Leonardo da Vinci. 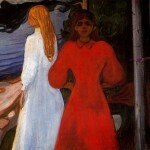 Only the forehead of Munch was higher and the upper lip was sharply delineated, as in the rest the similarity was the total. Both had many of the same eccentricities. Both had enormous willpower. But scattered thoughts made them strangers in our land. They were not able to keep up with someone else and could not share the life with a woman. 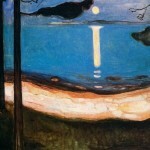 People looked at Edvard Munch not only because he was handsome. He attracted the attention due many reasons. He seemed strange. Dreamy, uncertain expression of the eyes was not in harmony with the strong chin. Small hands were powerless, shoulders – narrow. He was not like all. He never stopped thinking about something. He took a few steps. He turned around, as if looking for another way. Again, slowly he turned around and continued his way, preferring to stay close to the walls of houses. On his father’s side, Edvard Munch came from a certain kind of Norwegian officials, among whom were prominent artists and scientists. 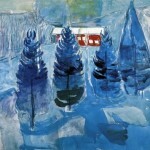 The most famous was his uncle, a historian PA Munch, the author of the ancient history of the Norwegian people. 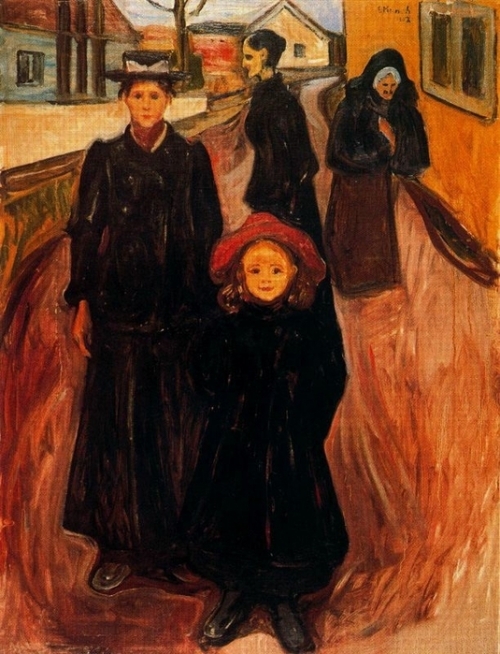 Munch’s mother was kind of peasants and sailors. 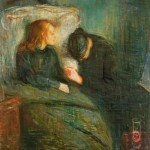 Father of Edvard Munch – Christian Munch, was a doctor. As a kind of dreamy, he loved to read and to invent stories. In his youth, he traveled extensively. He was the ship’s doctor. 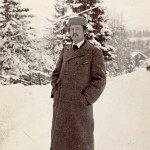 Later he became a military doctor, and eventually settled in Oslo – in Gryunerlёkkene. At forty-four, he married the daughter of a petty trader from Fredrikstad, who was twenty years younger than him. Her name was Laura Katrina Bёlstad. She gave birth to five children – Sophie, Edvard, Andreas, Laura and Inger and died of tuberculosis at the age of thirty-three. 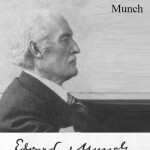 Edvard Munch was born December 12, 1863. Edvard was only five years old when he lost his mother. The family never recovered from this loss. – Do not you see Edvard’s abilities? He draws excellently. Edward was allowed to enter the school of painting. His aunt helped him acquire a profession – the only thing of which he dreamed, and the only thing for which he was born. No one had ever done for him something more. 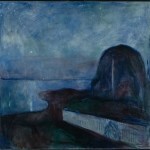 Despite all that Karen Bёlstad had done for him, Edvard Munch believed that she had betrayed him. Sometimes she was on his father’s side. And then he thought she wanted to be something more than just a sister-and housekeeper in the house. During these years, he has painted especially many portraits of his relatives. He painted his aunt very seldom and if she appeared in the pictures, always with her head down or covered face as if he did not want to look into her eyes. 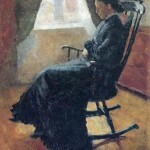 In 1884, when he was twenty-one, and she – forty-four, he painted to her an amazing portrait. She sits in a rocking chair, staring at the floor. He painted her as a young woman, not much older than himself. She is dressed in black, inquiring something mysterious. The soft contours of her figure woven into small flickering light spots. They are like a caress. Even in the ear facing the shady side, he managed to put the spot of light. 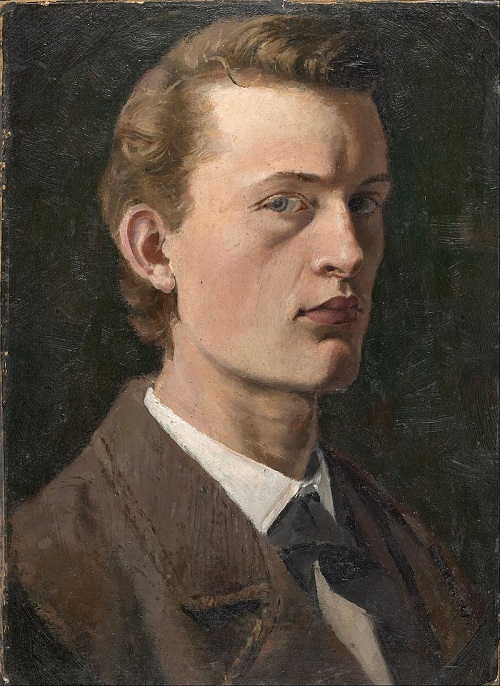 Young Edvard Munch was in a circle of artists and carousing, regulars of the restaurant “Grand” in Oslo. 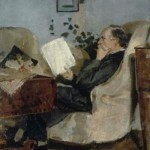 Poet Hans Jæger supervised circle. Hans served as a clerk in stertinge. He wrote two courageous, honest books that were confiscated by the authorities, and finally the “Anarchist Bible.” The poet saw in Christianity the cause of all the ills and evils. Sexual desire, in his opinion, the above desire to mate, a source of pleasure, which makes a person better, less alone. It is the warmth and joy, which we all need. Christianity, with its strict laws make people violent, indifferent, deceitful. 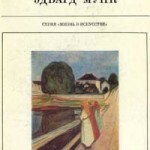 The greatest virtue of man – honesty and frankness. The bourgeoisie and the marriage – support bigotry. Jaeger has created a circle of ten new commandments. The first read: do not Honor thy father and mother. Fourth: meet Bjørnstjerne Bjørnson with whistle. Sixth: do not wear detachable collars. Tenth: commit suicide. – You’re good to sit at, Edvard. I can not sit at others’. These artists seeking new routes were linked with friendship and poverty. Each of them, being hungry, went to the restaurant and found someone who could treat wine and feed. It was easier to get a glass of vodka than a sandwich. Members of this club of artists consisted of a few women. They were in favor of a simple, free and pleasant communication between man and woman. For that lovers can live together. If one party is tired, let him leave. It soon turned out that living according to these rules is difficult. 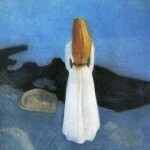 One of the ladies of the circle of artists and companions, which was considered important to attract attention and where suicide was not uncommon, fell in love with Munch. She was the daughter of a wealthy merchant, and, apparently, she liked the artists more than their work. She wanted to catch in her nets Edvard Munch. 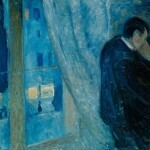 Munch was often with her, but did not want to close relations. – She – the type of woman I often meet. This is a woman with a long pointed nose and thin tight lips. I can not stand this type. But every time I sit down to paint, she calls and asks to come. – Come here, Edward. It’s so cozy here. You can draw tomorrow. – You love me, Edward. I knew you would come. – I did not want to, Edvard. I hope you are not hurt. – Edvard, I love you! And he was hurt. Edward could never forget it, wore gloves to hide the disabled index finger on his left hand, on which was put a large ring. 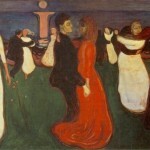 Munch earlier it was difficult for Edvard to communicate with people. He became more reclusive. If people are so wicked and wild that shoot through the fingers to each other, he does not want to have anything to do with them. It is better to sit at home and paint. If they want to know what he thought of them, let them look his paintings. If these pictures lack the comfort and happiness, because it only means that they are dreaming and longing for something he did not know. Life – the pursuit of happiness, the struggle and the need. The passion, sorrow and fear. If there is something divine, so it is the sun and light.